I don’t know exactly why, but I keep going back! I am running in my tenth Boston Marathon today. 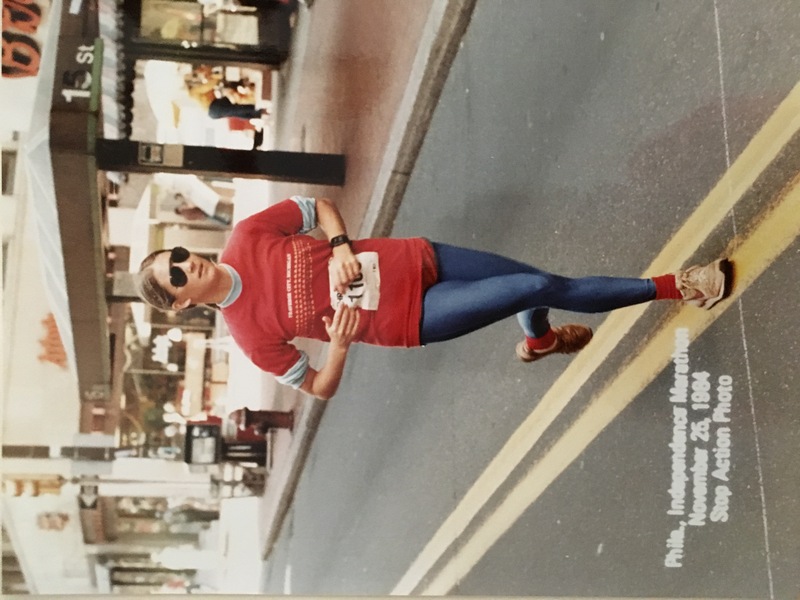 My first Boston Marathon was in 1999, and I fell in love with this granddaddy of all marathons. This wasn’t my first 26.2 mile race, however. Boston is a race for which you have to qualify. That’s one reason it is so special. For amateur athletes like myself, qualifying for Boston is never a given. It takes determination, persistence, and a little craziness. That’s why my oldest grandson first began calling me Crazy Grandma. I never took up running as a child because there was no such thing as girls track or girls cross country. Yes, I am old. However, I did play just about every other sport in which girls were allowed to compete, including field hockey, basketball, softball, and volleyball. I began running at Yale Divinity School as a way to keep in shape when I no longer had the opportunity to play team sports. After a few years, I decided to challenge myself. My first running competition was a 10 kilometer (6.2 miles) race in May, 1980. I was an organist and choir director in a United Methodist church at the time, and the race started at 1 p.m. on a Sunday afternoon. It just happened to be Communion Sunday. When the 11:00 a.m. service ran quite looooong, I realized that if I stayed to the end, I would miss the start of the race. I whispered to a choir member who was also an organist and asked if she would play the last hymn and a postlude. I slipped out at 12:30 p.m., drove as fast as I could to the start (in another town) and was in place just seconds before the race began. Thanks be to God, I wasn’t fired from my job. Prevenient grace at its best! 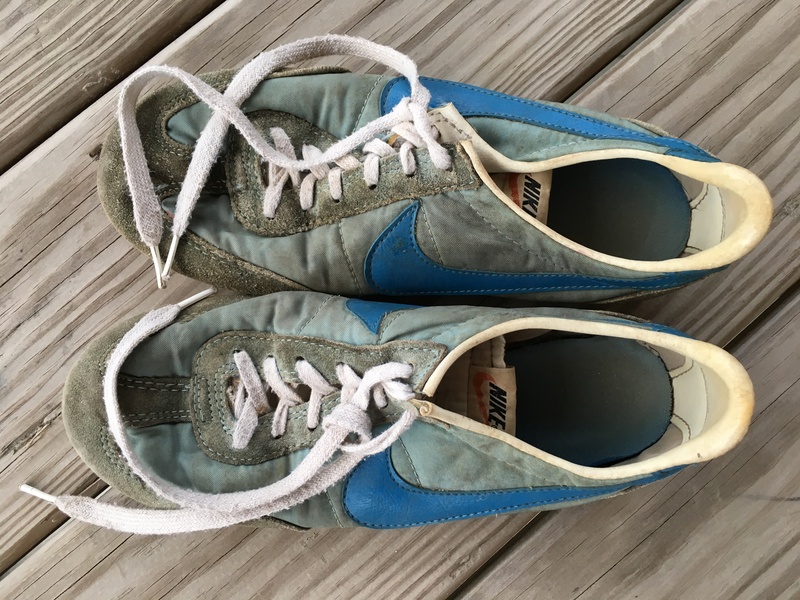 Why am I still running, 37 years after my first race? I often call running “wasting time with Jesus.” When Gary and I were raising our young children, I couldn’t run unless Gary was home to watch the kids or they were at childcare. Running gave me time to clear my mind, ponder the problems of the world, savor the beauty of God’s good earth, and waste time with Jesus. Some of my best ideas have come to me while running. Even today, when I am pounding the roads or trails, no one can find me, although I now carry a cell phone. In the local fitness center where I do some of my training, the overhead monitors display rotating slogans for a program called Alpha training. The slogans remind me why seeking to keep my body in shape is more than a physical discipline. It’s also a mental and spiritual discipline that enhances my personal and professional life. Having the endurance to keep going means I can stay ahead of problems. Cultivating endurance means never giving up and always finding a way to move forward in a positive manner. As my balance improves, so, too, do my opportunities. More speed will help me get to the top faster. The pace of life today is so much faster than when I started running long ago. The wisdom I have gained over the years is three-fold: 1) Getting to the “top” (or coming in first) is not always the goal. 2) When speed implies sacrificing quality, I need to slow down. 3) Building speed in order to accomplish more happens when we follow a careful plan that includes appropriate rest. With more power, I can crank up the energy in the afternoon. My life of faith becomes deeply ingrained when I tap into a power outside of myself, which is the power and energy of the Holy Spirit. Having the flexibility to bend but not break is a benefit in all areas of my life. As I build more strength, I also build a stronger sense of community. Increasing my agility will help me sidestep the office cookie plate. One of the words we use today to describe vital churches is nimble. Congregations (or conferences, for that matter) that focus on their strategic priorities are able to switch directions and make quick adjustments, avoid the pitfalls of becoming distracted from their core values, and are always on the lookout for new ways to achieve their mission and vision. And then a miracle happens. Someone hands me a cup of Gatorade. A spectator shouts, “Go, Granny, go!” A child offers me an orange and a smile. Another runner sees that I am flagging and stays with me for a while. 500,000 people line the road from Hopkinton to Boston because the marathon is always held on Patriots Day, a Massachusetts holiday. The cheering is non-stop and deafening, and it gets us across the finish line. Why? Because no one ever runs alone. After a certain point, runners don’t get better with age. I reached that point fourteen years ago. But that just means I get to waste more time with Jesus on the course! So don’t wait for me. I’ll see you at the finish line. There I’ll find my youngest daughter, who is running in her first Boston Marathon and will be way ahead of me. 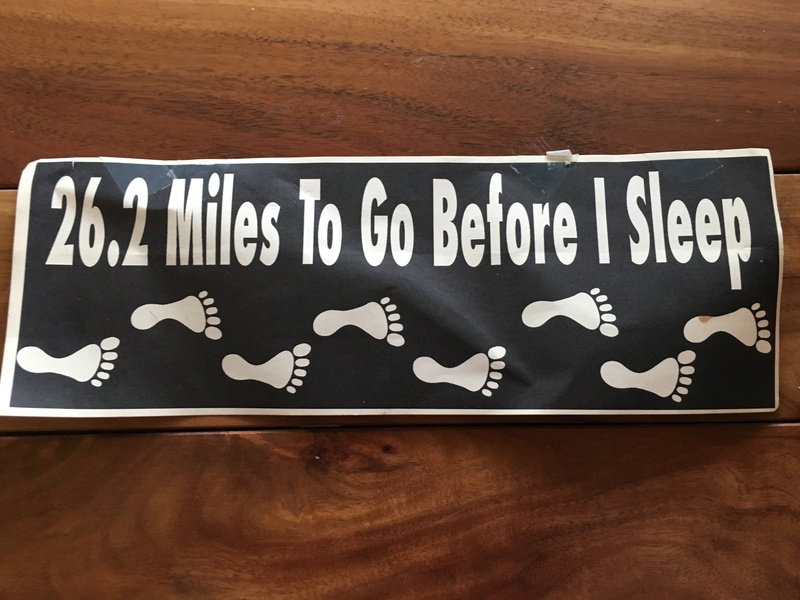 My husband, Gary will be there, too, both of them cheering on the thousands of runners of all shapes and sizes as they experience life, death, and resurrection in Boston. And, in case you were wondering, the resurrected Jesus will be at the finish as well, offering each brave soul a high five, the words, “Good job!” and a bagel. What does it mean to die before you die? How do you go about losing your little life to find the bigger one? Is it possible to live on this planet with a generosity, abundance, fearlessness, and beauty that mirror Divine Being itself? Go, Granny, go! Prayers and best wishes are with you today! Prayers for safety for all and successful completion running with Jesus. Congratulations, Laurie! How well I remember you finishing your first Ludington race. I can’t remember if it was a 10k or 1/2 marathon. You ran, and I only stood at the finish line to greet you. 🙂 Also, I can’t remember if you were carrying Talitha that day, or if she had already been born. Never mind, Laurie, you are not one to ever take the easy way out as you have demonstrated all through your years of ministry. Eldonna and I continue to be blessed by having known you well during your four years here. May God continue to bless and protect you daily as you serve Jesus and his people in Iowa and the world! So good to hear from you, Ken. Talitha was a baby when I first ran the Ludington half marathon. Give me love to Eldonna. My very sore legs are now revived, and I plan to go for a slow run tomorrow. I am late reading this, but I want you to know that you continue to amaze me with each new blog! I look forward to Laity Day with you this week. Way to go dear Bishop Laurie.